Dairy provides livelihood to 60 million rural households in India, but the impact of global warming could have an impact on overall milk production in the coming years. 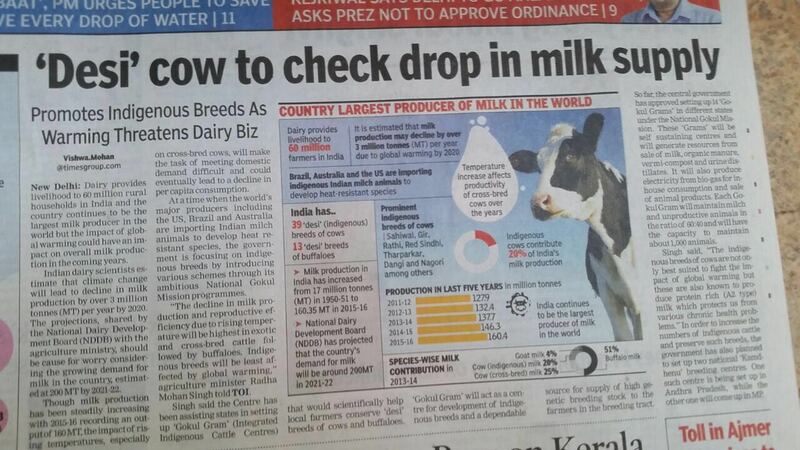 Indian dairy scientist estimate that climate change will lead to decline in milk production. The decline in milk production and reproductive efficiency due to rising temperature will be highest in exotic and cross-bred cattle. Indigenous breeds will be least affected by global warming. 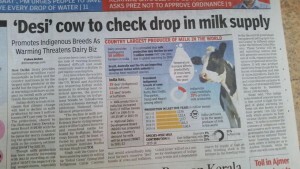 Please read article in Indian Newspaper.